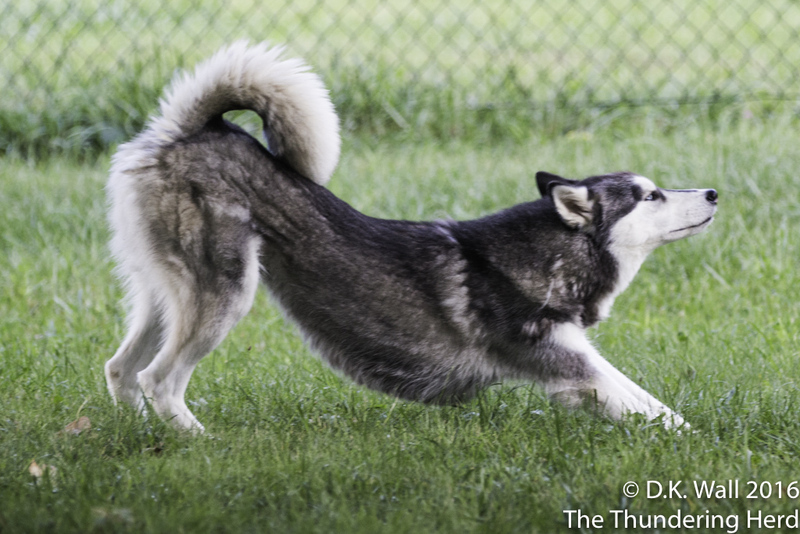 As a working breed, we Siberian Huskies know the importance of stretching before exercising. So let us demonstrate the proper technique. As the resident speed demon, Typhoon loves to zoom about our yard. 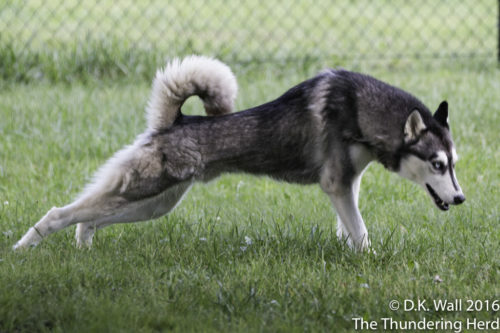 Before kicking things into high gear, he warms up his muscles. This sprinting athlete understands the critical need of being limber. 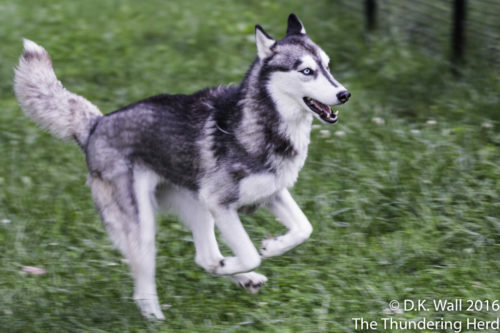 And notice that he is working both the rear and front legs. With a proper warm-up completed, Typhoon fires up the engine for a good game of zoom-zoom. Remember, we are a working breed, so proceed at your own pace. In Typhoon’s case, that pace is supersonic. Good reminder for all of us to stretch when we first wake up Typhoon. Very good form Typhoon! Gotta keep those muscles in ready position!